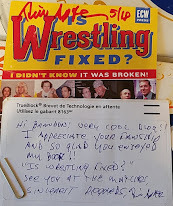 This batch celebrates more through the mail success that I have had. 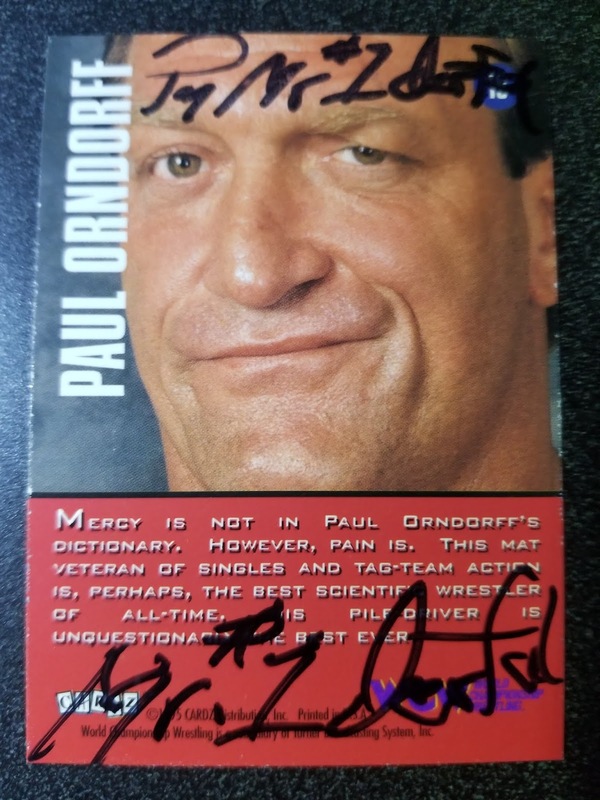 The card on the left is from the 1991 Wrestling Legends set and the card on the right is from the 2000 BBM set featuring a subset of Giant Baba Memorial cards. 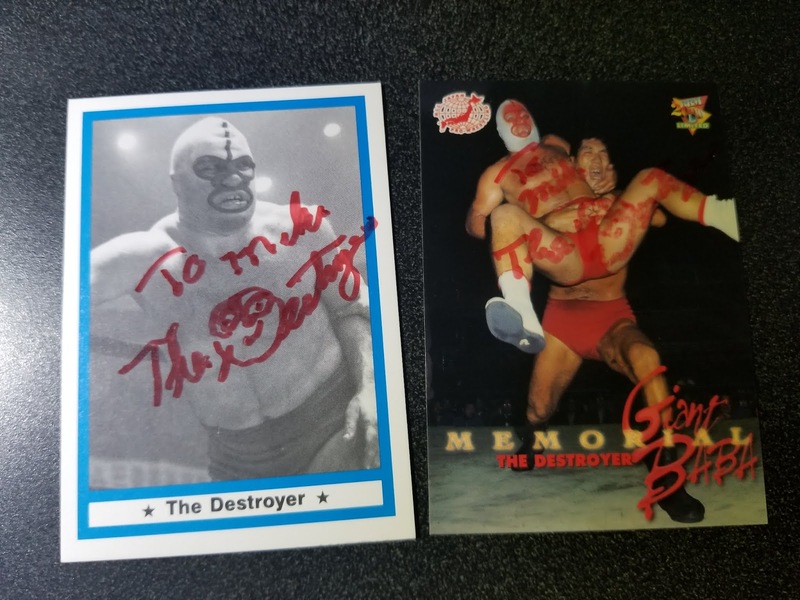 I mailed these cards to The Destroyer at his golf park on August 20, 2018 and I got them back in the mail on September 15, 2018. The card on the left is from the 2012 Topps main set while the card on the right is from the 2012 Topps Heritage set. I mailed these cards to Celeste Bonin at her warehouse on August 23, 2018 and got them back signed on September 14, 2018. 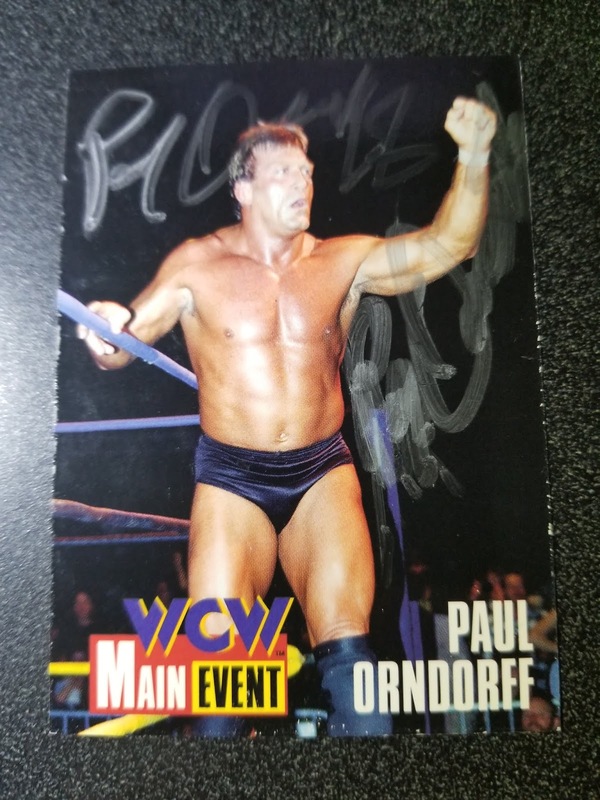 This card is from the 1995 WCW Cardz set. 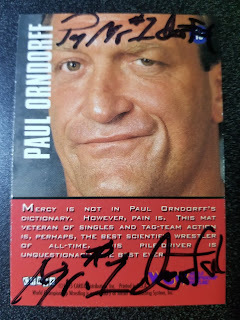 I mailed this to Mr. Orndorff on August 15, 2018 and got it back on August 30, 2018. 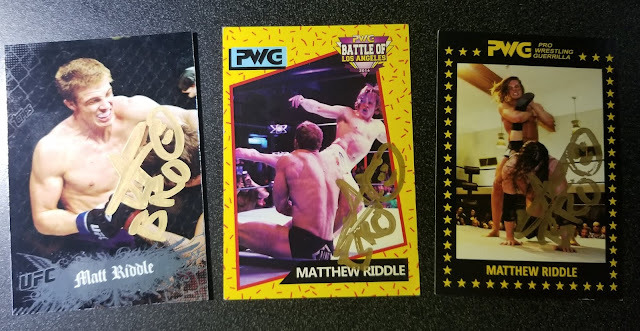 These cards I didn't get through the mail, my buddy Mikey got them signed for me in person by Riddle at the Evolve & Progress double shot on August 5th in Melrose, Massachusetts. The first card is from the Topps 2010 UFC Main Event set, the middle card is from the 2016 PWG BOLA fan made set an the right card is from the 2017 PWG BOLA fan made set.